Happy Anzac Day for my Kiwi & Aussie friends. 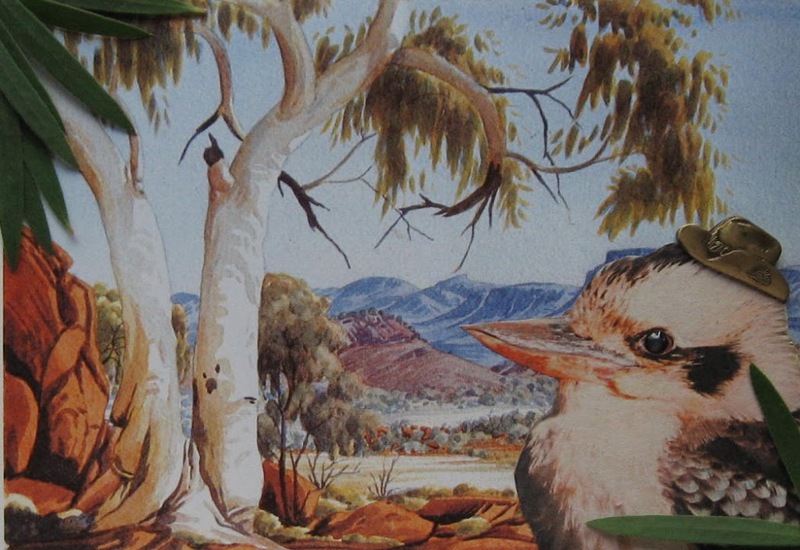 Do credit should be noted to Albert Namatjira for the background watercolour of Papunya Country. 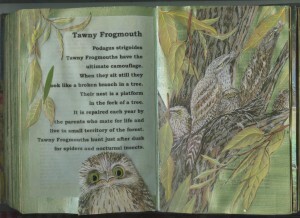 An altered book I am working on with the theme of Australian wildlife. You picked one of ds’s fav quotes! 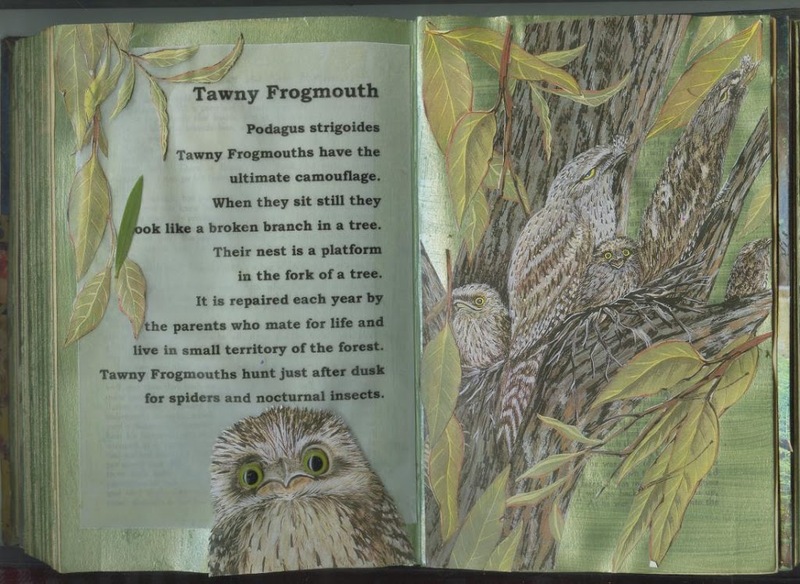 Love the book. Great work as usual. Yay! I was so excited to see a kookaburra on your blog – thanks for the Anzac Day wishes! This looks so very wonderful!